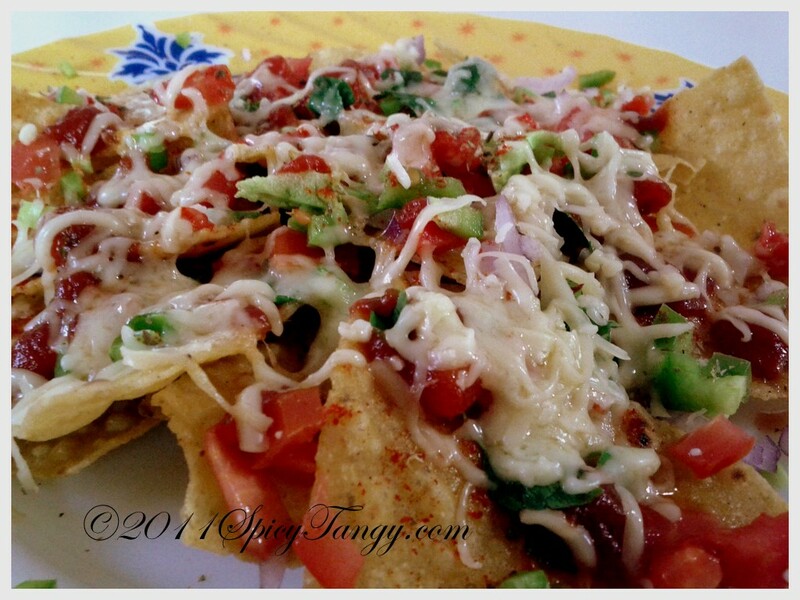 Spicy Tangy: Cheese Nachos ! Top the nachos with tomatoes, onion, green pepper, chili flakes, tomato sauce and lots of mozzarella cheese. Heat in the microwave oven for 30 seconds. Alternatively bake it in oven at 180C for 5 minutes. You may use different sauce or beans to top the nachos. When i thought of making this, i tried this combination and it turned out great ! happy to follow you dear! your blog is wonderful collection of recipes. Nice space.. Happy to follow you dear..